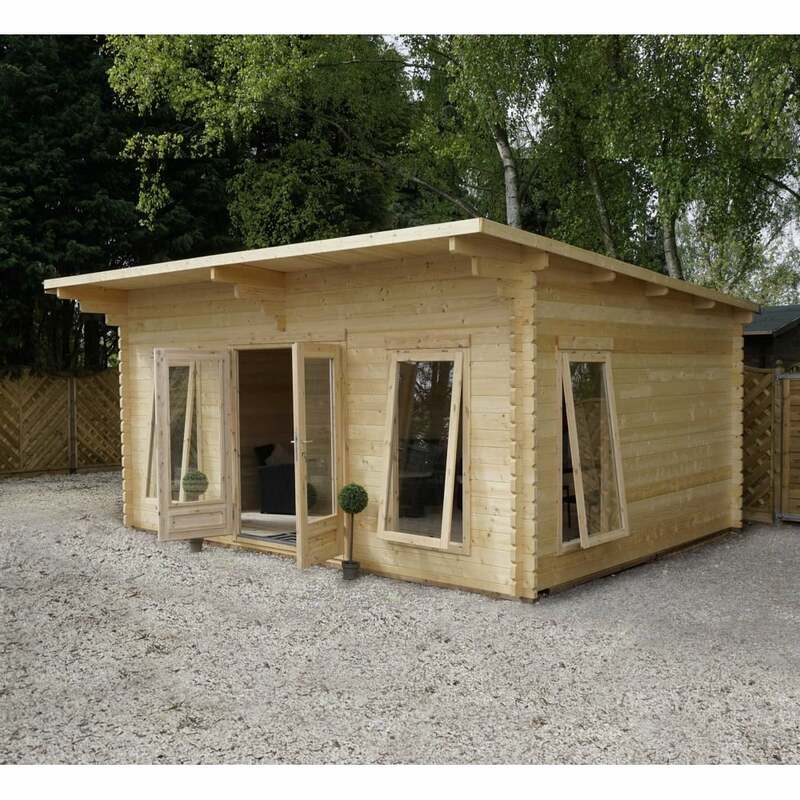 Mercia 4.2m x 5.4m Contemporary Log Cabin: The 4.2m x 5.4m Contemporary Log Cabin offers a spacious and open plan layout, perfect for a range of uses including garden office, entertaining space or relaxing retreat. The Mercia Log Cabin is made with high quality interlocking FSC certified timber cladding, the roof and floor are constructed from 19mm thick tongue and groove timber with pressure treated floor bearers to raise the building off the ground. The 4.2m x 5.4m Contemporary Cabin features a traditional pent roof to allow water runoff and includes an extended roof overhang with heavy duty mineral green roof felt to provide a waterproof barrier to help prevent weather damage. The Mercia Log Cabin features 4 opening safety glass windows to allow ample light and ventilation into the building and wide double doors with a lock and key for enhanced security.